Here vs There: Do I want to go back? Note: I used an Ebook version of The Gangster, so page numbers may be different. As an adult, looking back onto my childhood home is a very unusual experience. It almost seems like a magical place: I remember is as comfortable, friendly, and accessible, despite not understanding much of it. After my family moved, we’ve never had the chance to go back to that town, which has made it seem all the more illustrious and wonderful in my mind. And in lê thi diem thúy’s The Gangster We Are All Looking For (TG), the narrator’s mother (Ma) experiences her childhood home in a very similar (albeit far more intense) way. The mother’s relationship to home is echoed throughout TG, and her struggle to deal with what she has left behind become central parts of the narrative. The book follows a family of Vietnamese refugees who come to America due to the Vietnam war. Ma has a troubled family history, as is stated on page 198 of TG: She was disowned by her parents due to her choice to marry her current husband, the narrator’s father. On page 199, Ma’s struggles with the past come to the forefront, when a single photograph of Ma’s parents arrives on the doorstep of her house: “When the photograph came. Ma and Ba got into a fight. (…) Ma broke all the dishes. They said they never should’ve been together” (lê 199). Here, Ma struggles to confront her decision to leave that place of comfort. She curses the decision that caused her to leave – her decision to marry Ba (the father) – and also makes an active attempt to make her current place of residence seem less homely by destroying parts of the family’s current place of refuge. This destructive rampage also emphasizes Ma’s discomfort with settling into the consequences of her decisions. She dislikes her current living situation compared to her previous life in her home country, and in that longing to return, makes an attempt to destroy bits of her current place of living that gives off an impression of permanence. However, many other Vietnamese-American characters do not long towards their home country in the same way that Ma does. Nam, the narrator of Nam Le’s short story The Boat, expresses a distinct level of comfort with being adjacent to yet separate from his childhood home. This is best expressed on page 9 of the story, where Nam imagines himself posing for a senior photo in traditional cultural garb: “I pictured myself standing in a rice paddy, wearing a straw conical hat. Then I pictured my father in the same field, wearing his threadbare fatigues, young and hard-eyed” (Le 9). This scene is structured in such a way as to make evident Nam’s discomfort with his past. His own mental depiction of his wear during this scene, “a straw conical hat” and standing in a rice paddy is ironically stereotypical of Vietnam, a point-for-point depiction of the American image of a Vietnamese rice farmer. And yet his depiction of his father is far more military and distinctly less friendly: “threadbare fatigues” is a clear allusion to army wear, and the combination of a “hard-eyed” gaze with youth implies a difficult life and a hardened exterior. It’s an unfriendly image, and a purposeful comparison between Nam, who spent only his childhood in Vietnam, and his father, who lived there much longer and served in the war. Similar to Ma, Nam experienced degrees of rejection from his parents, but he does not wish to return to his home. He does not hold Vietnam in the same heightened light that Ma does, and seems somewhat uncomfortable in his mental exploration of placing himself in Vietnam next to his father. This directly contrasts much of TG; In that novel, Ma, the narrator and the family struggle on American soil and experience much of American tradition as unusual and alien, yet Nam appears to associate a return to home with a kind of alien unfriendliness, as shown through the differences between his description and description of his father. 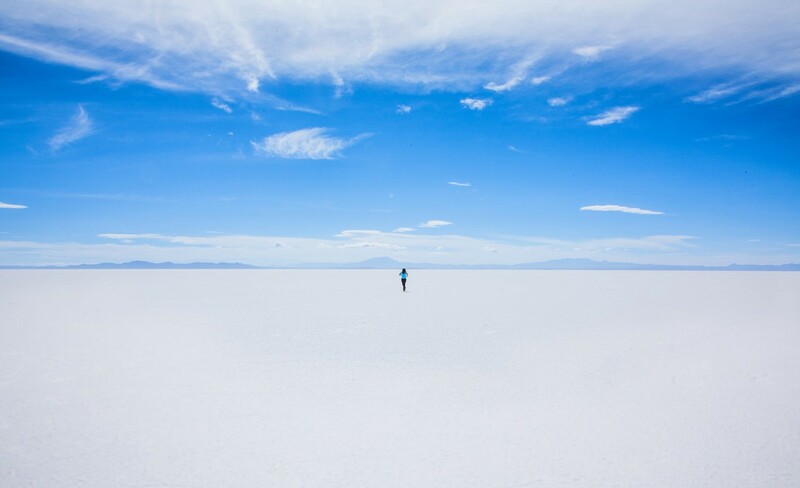 There is something inherently disorienting to travel, regardless of the reason. Even within driving the eight hours from my hometown to school, everything seems to exist in a hazy, liminal space, time marked only by occasional stops at a gas station for snacks. For the narrator of lê thi diem thúy’s novel The Gangster We Are All Looking For, this disorientation is only compounded by the reason for her movement: her status as a refugee from the Vietnam War. The Gangster We Are All Looking For opens with the description of physical locations. lê writes “Linda Vista, with its rows of yellow houses, is where we eventually washed to shore. Before Linda Vista, we lived in the Green Apartment on Thirtieth and Adams, in Normal Heights. Before the Green Apartment, we lived in the Red Apartment on Forty-ninth and Orange” (lê 3). lê charts the movement between homes, each represented by a color. By passing rapidly through colors, lê creates a flickering, unstable effect, charting themovement between yellow to green to red and orange. The selection of specifically yellow, green, and red evokes the image of a stoplight, a marker relating to a physical travel on the road. By passing quickly between colors relating to transit, lê connects the imagery of the houses to the idea of movement. The inconstancy of color establishes an inconstancy of location, and the quick shifts between these descriptions creates an immediate effect of disorientation in displacement. The novel’s initial feel of displacement is exacerbated by the narrator’s description of flying on an airplane, leaving a refugee camp and traveling to America. She describes the flight, stating “Holding onto one another, we moved through clouds, ghost vapors, time zones” (lê 4). lê once again charts movement and transit. This time, she notes the passage not between colors, but through hazier constructs: “clouds, ghost vapors, time zones.” The movement through clouds signals a physical haze and a spatial movement, while moving through ghost vapors suggests a more metaphysical movement. The word “ghost” has a context of an echo or remainder of the past; Merriam-Webster defines it to mean “a disembodied soul” (“ghost”). In moving through “ghost vapors,” the narrator moves through a disembodied past. In addition to moving through physical and metaphysical markers, the narrator also passes through “time zones,” creating a sense of disorientation by dismantling the linear construct of time. lê’s imagery of the airplane associates the narrator’s movement with the passage through space, memory, and time, a disorienting and hazy experience. lê’s imagery of movement situates the narrator in both a physical and metaphorical liminal space. She exists in a state of physical threshold, shifting between houses and countries. However, she also exists in a state of metaphorical threshold, her senses affected by the feeling of disorientation that comes from these movements. lê’s depiction of movement as disorienting and liminal suggests that the narrator’s experience as a Vietnamese refugee, as a person with transit forced upon her, reflects both this physical inconstancy and the feeling of unreality. “ghost.” Merriam-Webster.com. Merriam-Webster, 2018, https://www.merriam-webster.com/dictionary/ghost. Accessed 10 Oct 2018.
lê thi diem thúy. The Gangster We Are All Looking For. Anchor Books, 2004. When I was younger, I’d get this recurring nightmare of finding myself in the middle of the ocean with no one in sight. And although I don’t remember those nightmares lasting very long, they were always quite terrifying nonetheless; The feeling of helplessness and vulnerability stuck with me for several years, leaving me afraid of the ocean until my early teens. This fear from a hostile environment is something that Le Thi Diem Thuy very clearly understands, as her use of a ‘drifting’ image in the second paragraph of her novel The Gangsters We Are All Looking For very clearly establishes the same feeling of danger that I’d felt in my young nightmares. Thuy uses this image while describing the movements of the narrator and her family across a wide ocean expanse, as they “floated across the sea, first in the hold of the fishing boat, and then in the hold of a U.S. Navy Ship” (Thuy 3). While this fear of watery depths would translate quite cleanly to many uncertain ocean journeys, Thuy’s word choice accentuates the fear factor: The group has “floated” across the sea adds an element of survival and randomness to the trip, where describing it more directly as a ‘trip’ or ‘travel’ would have diminished that aspect. Furthermore, the same paragraph sees Thuy extending the theme of motion through hostile environments from the sea to the skies, as the narrator describes the family’s travels through airports as well: “We were lifted high over the Pacific Ocean. Holding onto one another, we moved through clouds, ghost vapors, time zomes” (Thuy 4). The theme of motion without direction appears again, this time acting in the opposite way it did during the previous quote. The family’s motion through “clouds, ghost vapors, [and] time zones”, all of which are quite expansive and difficult to move through quickly, creates a sense of blurred motion too quick and too rapid to be safe or controlled. Rather than focus on the movement through a single time zone or cloud, the quote includes all three with little consequence, giving readers a sense of the family’s rapid speed through these sequences. In both situations, however, the family is being protected by a fairly appropriate form of transport: A boat through the water, and a plane through the skies. But while this is true in the physical action of these situations, Thuy takes great care to attempt to remove that safety barrier from the image that readers will create in their own minds. This is accomplished in similar ways during both images: Although Thuy acknowledges the boats later in the line for the sake of clarity, the floating scene mentions “we”, or the family, as the ones who are floating. Note the effect this has: Editing this quote as to say ‘the boat floated across the sea’ does not carry nearly the same level of weight and desperation as ‘we floated across the sea’. The same effect shines through during the image of air travel, but even more strongly so. Thuy writes, “we were lifted high over the Pacific ocean. Holding on to one another…” (Thuy 4). The careful removal of the airplane in these lines loosens the barrier between the narrator’s family and a very, very long fall. Without the plane to protect them, Thuy implies the family is forced to hold onto one another in order to keep from dropping off one by one, and that they are being “lifted high over the Pacific ocean” once again by a force not entirely within their control (Thuy 4). Using these images to disrupt the barriers to safety for travel across long and hostile environments, Thuy makes these travel far more terrifying than modern modes of transportation normally allow them to be. Lê, Thi Diem Thúy. The Gangster We Are All Looking For. Anchor Books, 2004. I have always loved the nighttime. During the day, people are so inhibited, but under the cover of darkness, people are often compelled to act more genuine. lê thị diễm thúy’s novel The Gangster We Are All Looking For explores this elucidating effect of darkness. Gangster tells the story of a young girl’s experience as a Vietnamese refugee with her father, Ba, and four ‘uncles’ following the Vietnam war. The first chapter of the book, “Suh-top,” features a series of vignettes from the narrator’s first couple months in America. Lê utilizes imagery of lightness and darkness to convey the narrator’s emotions of displacement during her first couple moments in an unfamiliar country. 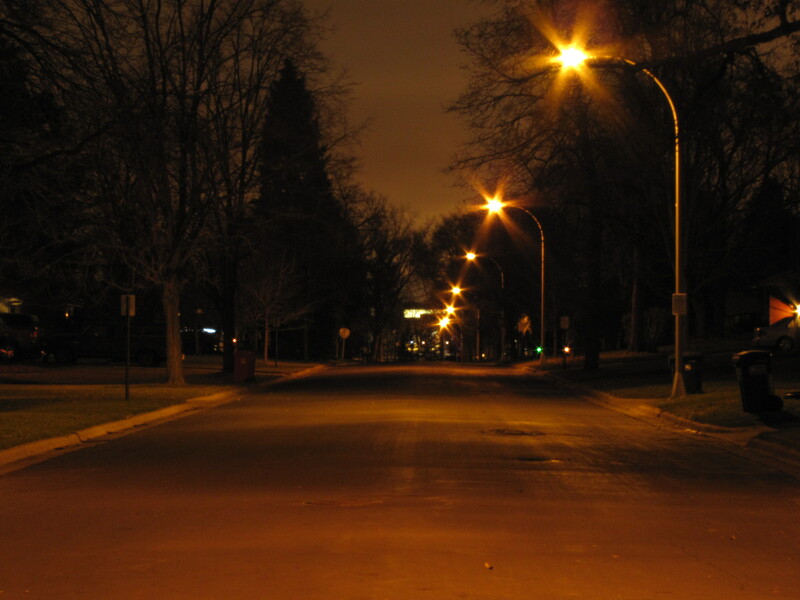 While the narrator and her family drive over to their new home in America, she describes her new surroundings as “unfamiliar brightly lit streets” (lê 4).The lamps on the streets create artificial light. Although light usually has connotations of happiness and rebirth, in this context, has a fake effect. This reflects that while the narrator may be grateful for the opportunity America has given her, she cannot experience true lightness, or happiness, in a non-artificial way due to her displacement from her home and family. The fact that these streets are unfamiliar creates a feeling of alienation and dejection, which is juxtaposed with this intrusively ‘positive’ light, creating an uncomfortable contrast. This also reflects the characters’ feelings of discomfort, as they are out of place in America in the way light stands out in the dark. After driving through the streets, they are “delivered to a sidewalk in front of a darkened house” (le 4). The fact that the house is not described as dark, but “darkened,” insinuates that the nighttime is darkening the house. However, the “darkening” also reflects the narrator’s state of mind. The artificial light from the lamps is gone, and she is forced to face the reality of the situation that is presented to her. It is also foreshadowing to her experiences in the home, which are mostly negative. This inauspicious start to her experiences in the house immediately paint the it as a place of suffering and darkness. It is ironic that although earlier the streets were lit up, they were obscuring the reality of their situation as dark and dismal. In this sense, darkness allowed the characters to see their condition as it actually is. By contrasting images of lightness and darkness, lê foreshadows the characters’ situations throughout the rest of the chapter. B3. le thi diem thuy. The Gangster We Are All Looking For. Anchor Books, 2004. The first time I was away from home for an extended period of time was my freshman year of college. The experience was exhilarating but it was also disorienting and scary. I missed my house, my neighborhood, and most of all, my family. I would imagine that others experiences are similar to this. This is why I find the attitude of the narrator in The Gangster We Are All Looking For to be so surprising. Though the narrator has moved from Vietnam to the United States, leaving behind her mother and brother, the tone she uses to describe her journey is almost calm. While there is a sense of disorientation, the use of water imagery makes the tone of the narrator seem carefree or perhaps even apathetic within the first two paragraphs. As the narrator describes the experience of traveling to the United States from Vietnam, as a refugee no less, her tone is almost peaceful. “We floated across the sea” she states, detailing how she and her father, along with four other men, traveled by multiple ships, planes and cars to reach the United States (le thi diem thuy 3). Nothing about the journey sounds easy and yet le thi diem thuy chooses the word float, a word associated with serenity, to describe the narrator’s journey. “Float” undermines the chaos of the fishing boat, Navy ship, plane, and car the narrator takes to reach the United States, making the journey seem easy and relaxing. This sense of ease occurs again in the first sentence of the book, as the narrator describes how she and her father “washed to shore” (le thi diem thuy 3). The imagery in this phrase is again one that is care free. There is no control in washing to shore, one just goes along with the flow of the water. And yet that lack of control, inherent in both floating and washing ashore, does suggest disorientation. Both seem aimless, movements without a specific direction. In addition, both are movements that are not necessarily human. That is to say, through this word choice the narrator paints herself as an object more than a person. The allusion to an object floating through the water or washing to shore reinforces the idea that the narrator has no control over where she is going. She simply floats along beside her father, going wherever the water might take them. B3. The color of the walls in my hometown bedroom are light purple. That’s clear to anyone who enters. But did you notice, or remember, the ticket stub from 2008 sitting on my dresser? I bet not, and that’s okay. You were in my room for two hours, I have been living there my whole life. In The Gangster We Are All Looking For by lê thi diem thúy, the narrator, a nameless girl, struggles with dislocation. lê’s novel follows this girl, her father, and four “uncles” as they become refugees in San Diego after fleeing Vietnam following the war. Their journey is not easy, with no particular final destination. In the opening paragraphs, lê depicts the constant movement this family faces, as seen through “eventually” and “after” (lê 3-4). These particular words and images work together to show the extensive and constant journey this family endures. They struggle to make lasting memories along the way, as seen through the girl’s inability to characterize locations beyond generalizations. lê begins her novel, “Linda Vista, with its rows of yellow houses, is where we eventually washed to shore” (lê 3). The word “eventually” emphasizes the ongoingness of the narrator’s journey (lê 3). “[E]ventually” suggests that the family has been traveling for an extended period of time before disembarking from their ship. It was only a matter of time before she “eventually washed to shore” (lê 3). The end of this sentence, “washed to shore,” continues the effects of “eventually” (lê 3). Here, lê suggests that there was no intended destination, Linda Vista just happened to be where their boat arrived. This diction conveys uncertainty; thus, creating a sense of dislocation. The family has been moving for an extended period of time; however, they have no clear idea of where they are going or will “eventually” end up (lê 3). An uncertain fate is a common feeling among Vietnamese refugees. These Vietnamese were forced to suddenly flee their homeland without knowing where they might end up, or how long it will take to get to their new location. Additionally, the narrator describes leaving the refugee camp in Singapore and going to the airport. Here, she states, “We entered the revolving doors of airports and boarded plane after plane” (lê 4). Once again, lê creates a sense of displacement and movement, considering planes are vehicles which carry someone from place to place. The phrase, “boarded plane after plane” reveals that this was not the family’s first time moving (lê 4). “[A]fter” particularly emphasizes the reoccurrence of movement. This alludes to the fact that there must be more than one plane which the family is getting onto. The narrator must have just been in one place and is now flying on another. As well, the mention of a “revolving door” creates an image of going in circles (lê 4). This family is constantly moving from one place to the next, repeating the same simple actions but in different places. “Revolving” denotes rotating around an axis (lê 4). In this case, the family is physically traveling around the world from Asia to North America. Together, these two images display the long, uncertain fate of a Vietnamese refugee. “Eventually” and “after” reveal that the family’s voyage took a long time (lê 3-4). The family “eventually” landed in California, but it was only after several modes of transportation and numerous stops along the way. Directly after the first line, the narrator describes several of these stops. She states, “Before the Green Apartment, we lived in the Red Apartment… and Orange, in East San Diego” (lê 3). This follows her description of Linda Vista’s “yellow houses” mentioned above (lê 3). The narrator characterizes these places simply by color, mentioning “Green.. Red.. and Orange” (lê 3). This is a very basic, general description. Due to her long and constant journeys as a Vietnamese refugee, she has no time to settle down or make memories. Therefore, she describes each place in a way that is easily identifiable but lacks specificity. What good is a story if it has no substance? While this family has traveled to a lot of places, each place might as well be interchangeable as no lasting memories were formed during their stays. Dislocation creates long-term effects on the narrator. She is forced to relocate somewhere new before fully living in the last place. This sense of constant uncertainty becomes the fate of the Vietnamese refugee. It takes a long time to get to one destination, but soon enough, they will be on to the next. B3. lê, thi diem thúy. The Gangster We Are All Looking For. First Anchor Books, 2004. When one is forced to constantly move around, the sense of belonging and meaning of home can become difficult to understand and painful to think about. The little girl, her father, and four “uncles” in lê thi diem thúy’s novel, The Gangster We Are All Looking For are a group of people who carry this weight. The girl, a nameless narrator, shares her experiences as a Vietnamese refugee through intense observations of her surroundings, such as the apartments/houses her family has lived in and the multiple planes she boarded to reach America. In the opening paragraph of the novel, the girl lists out all of the places she has lived: “Linda Vista, with its row of yellow houses, is where we eventually washed to shore. Before Linda Vista, we lived in the Green Apartment on Thirteenth and Adams, in Normal Heights. Before the Green Apartment, we lived in the Red Apartment on Forty-ninth and Orange, in East San Diego” (lê 3). The amount of details given about these places (color of apartment, street name, city, neighborhood, etc.) not only exemplifies the narrator’s keen observation skills but also shows how much she has moved around since arriving in America. This is thus an example of displacement within the novel because the girl and her family have been forced out of their war torn country (“washed to shore”) and have struggled to find a place to settle down as demonstrated through their jumping around from house to house. Furthermore, the journey to reach these places in America has not been easy for the girl and her family. The constant movement from one destination to another has been marked by multiple stages in various forms of transportation: “we floated across the sea, first in the hold of a fishing boat, and then in the hold of a U.S. Navy ship…we entered the revolving doors of airports and boarded plane after plane. We were lifted high over the Pacific Ocean. Holding on to one another, we moved through clouds, ghost vapors, time zones” (lê 4). The movement that is showcased in this passage (floating in boats, boarding planes, moving through time zones, etc.) marks not only the physical aspect of the long journey from Vietnam but also hints at how difficult it must have been emotionally: leaving behind a home because of war though less than ideal methods and having to traverse “through clouds, ghost vapors, time zones” is not a simple task for a little girl. The imagery of the apartment buildings and the modes of transportation (boats and planes) thus highlight the challenges for the Vietnamese refugees of the novel. The list of places the narrator has lived in represents displacement because the amount of addresses listed shows how much the family has had to move around. Meanwhile, the boat and plane journeys represent the movement that the characters have endured. By examining these two images closely, the reader is able to reach a better understanding of the Vietnamese refugee experience and how things that non-refugees take for granted, such as a physical home, can serve as powerful symbols of motivation. Select and introduce 2 images from the first 2 paragraphs of the novel (pp. 3-4) that convey forms of movement, displacement, or dislocation. Use a combination of quotes and paraphrasing to introduce/ describe these scenes. Then, explain how these images work together to illustrate the effects of movement, displacement, or dislocation. In other words, WHAT do these images convey about the narrator’s experience as a Vietnamese refugee and HOW do they convey this experience? The goal here is to produced a detailed and layered close reading of the two selected images.